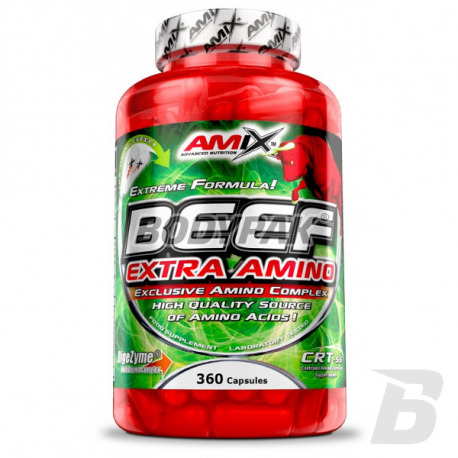 Amino AcidsAmix BEEF Extra Amino - 360 kaps. AmixTM BEEF Extra Amino supplies an unique balance of amino acids from beef source. 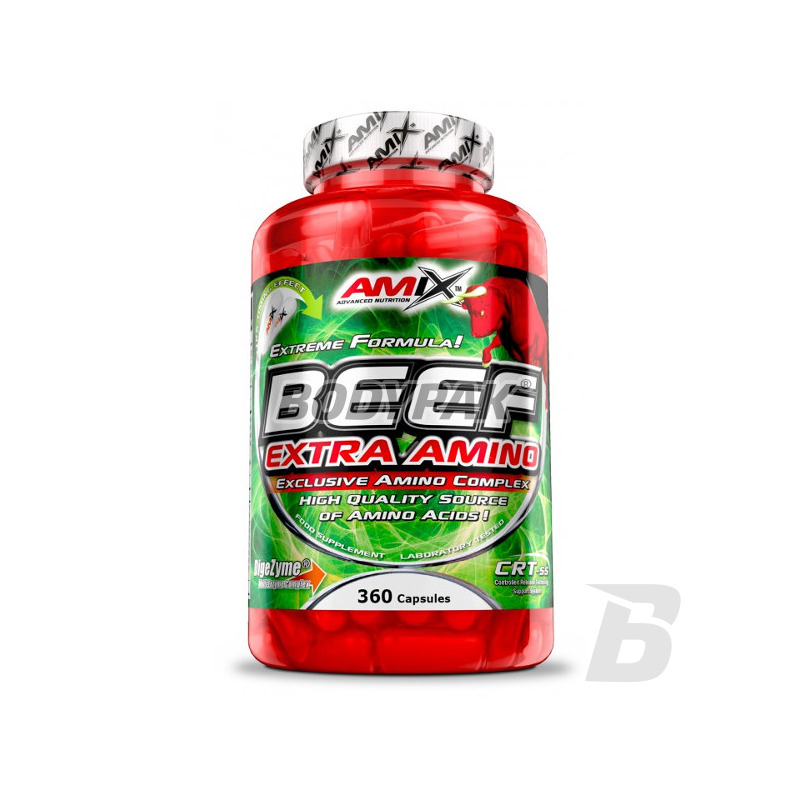 AmixTM BEEF Extra Amino is enriched with Multi-Enzyme Complex DigeZyme® and with vitamin B6. Take 6 capsules three times daily with meals or immediately after workouts and rinse down with plenty of liquid. Drink 8 to 10 glasses of water daily. Other Ingredients: Gelatin Capsule (pure gelatine, water, dyes: titanium dioxide), magnesium stearate, silicon dioxide. Dobry dodatek do diety, cena też spoko!